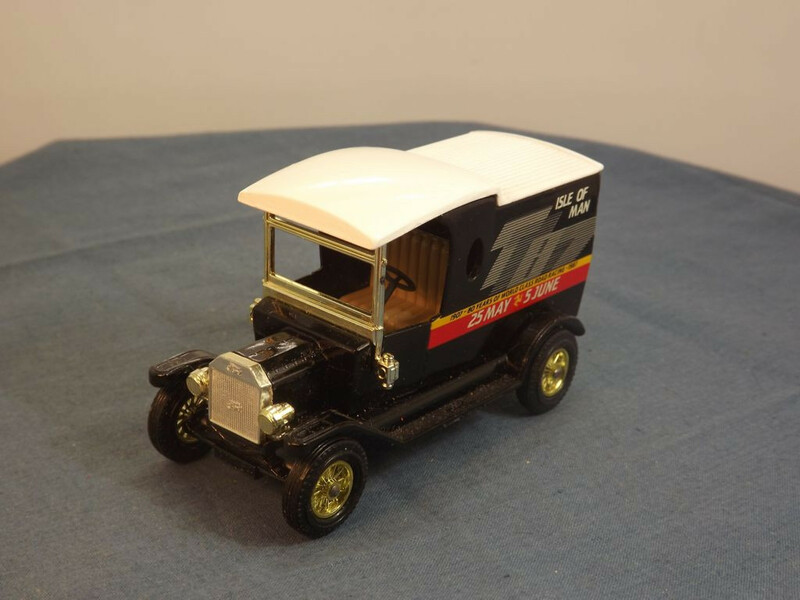 This model is the Matchbox Yesteryear Y12-3-M-1 or 4 Ford Model T Van (1912) in Isle of Man TT 1987 livery. 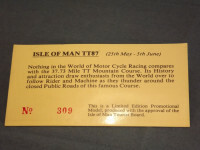 Produced as a commissioned model in a limited edition, the model was issued to coincide with the 1987 Isle of Man TT Races, probably by Mervyn Wynne, who also organised the release of several MB38 Ford Model A vans for the races between 1986 and 1992. This model comes packed in its original straw coloured box. 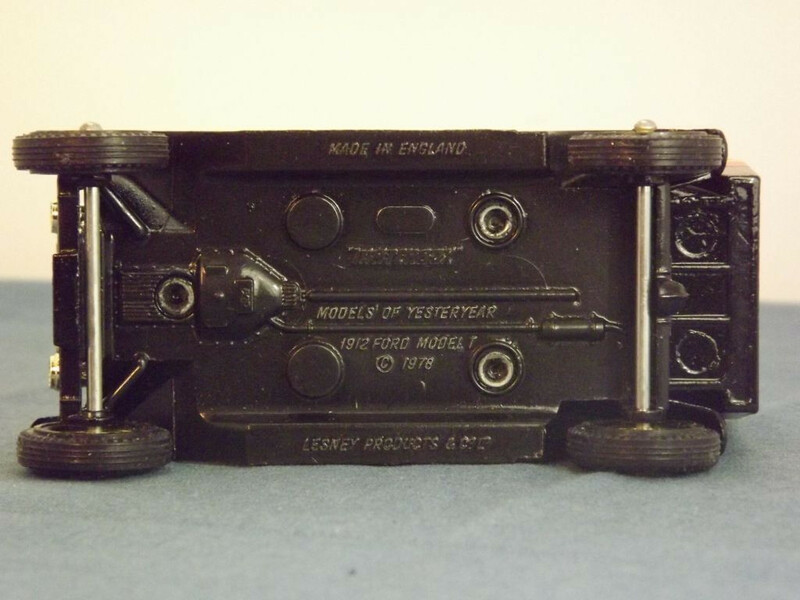 The model has no opening parts. The vehicle roof is white, the seats are pale tan plastic, the rear lights are white. 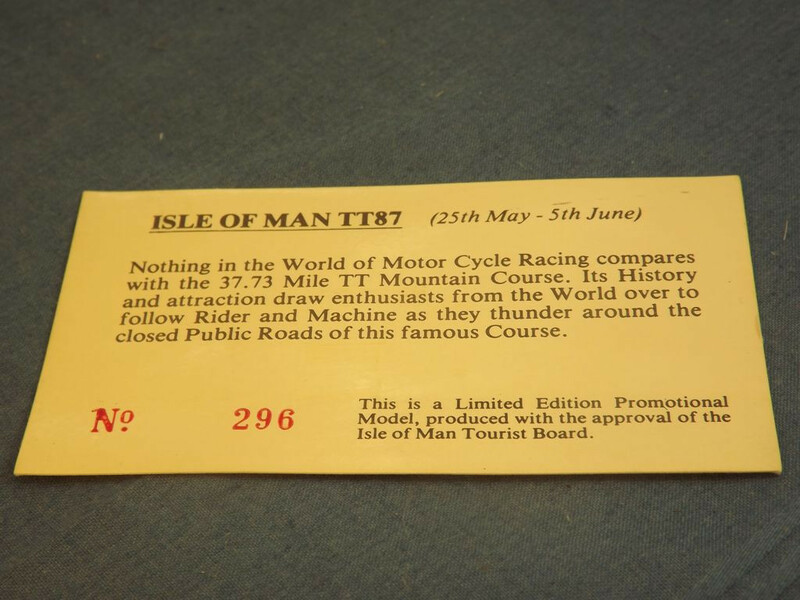 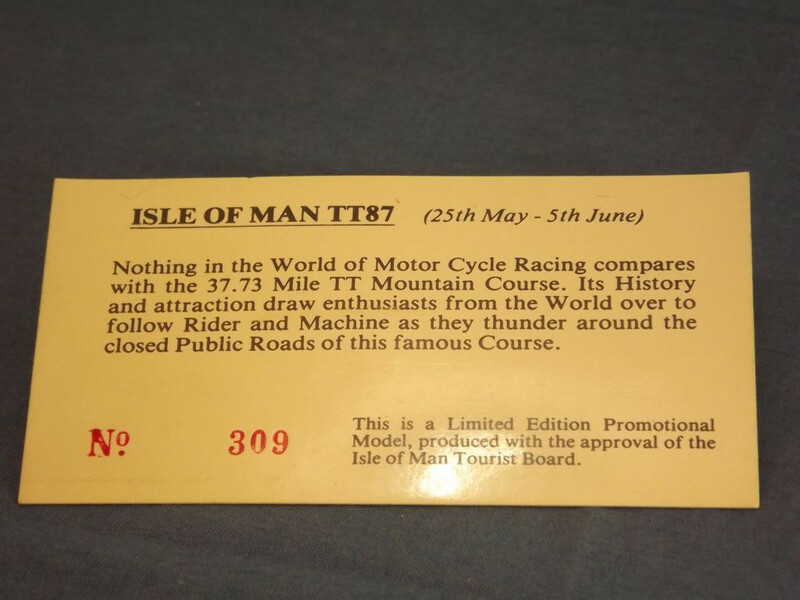 The decals are specially designed - a black, gold and red rear body decal that reads "Isle Of Man, TT87, 1907 - 80 Years of World Class Road Racing - 1987, 25 May - 5 June" on five lines. 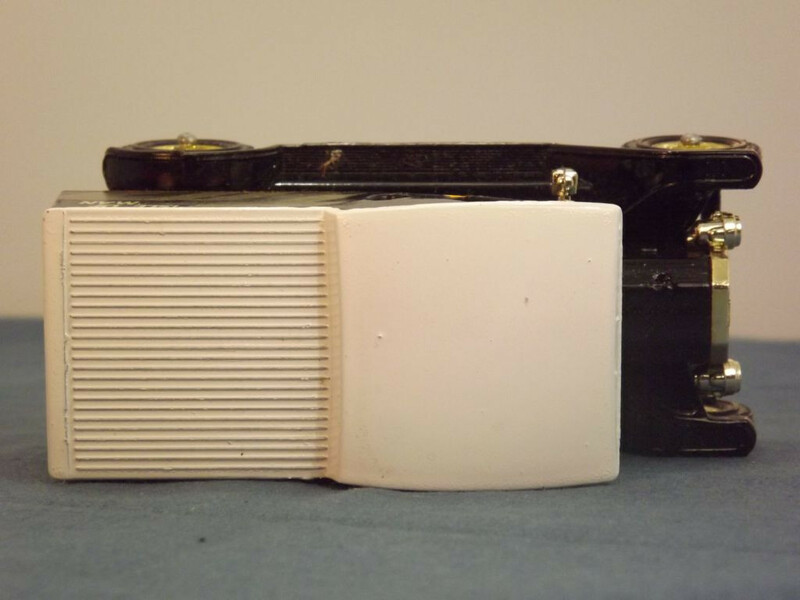 There is no glazing. 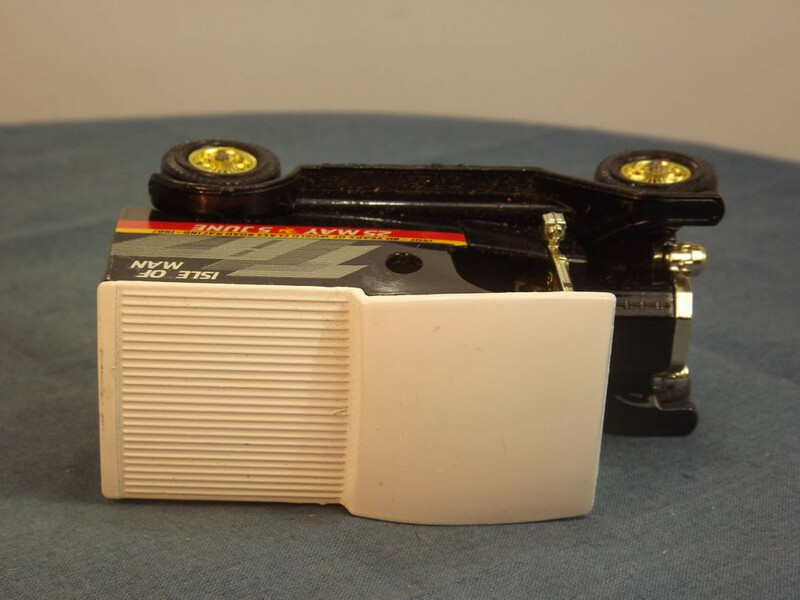 This Code 3 Promotional model was issued in 1987 as a limited edition of an unknown quantity. 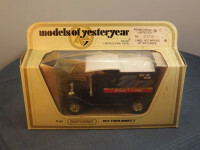 The model is accompanied by a certificate indicating it is model # 296 and the box has a faded label reading "Promotional Model, Limited Edition, No. 296, Label Not Applied, By Matchbox". 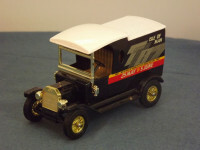 It has a stated scale of 1:35. 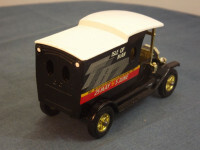 This model is the Matchbox Yesteryear Y12-3-M-1 or 3 Ford Model T Van (1912) in Isle of Man TT 1987 livery. 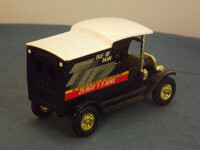 Produced as a commissioned model in a limited edition, the model was issued to coincide with the 1987 Isle of Man TT Races, probably by Mervyn Wynne, who also organised the release of several MB38 Ford Model A vans for the races between 1986 and 1992. 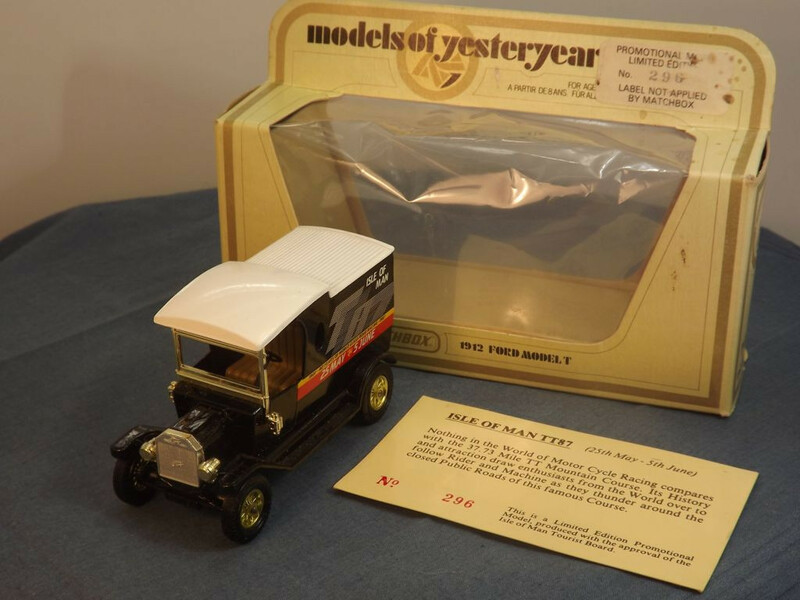 This model comes packed in its original straw coloured box. 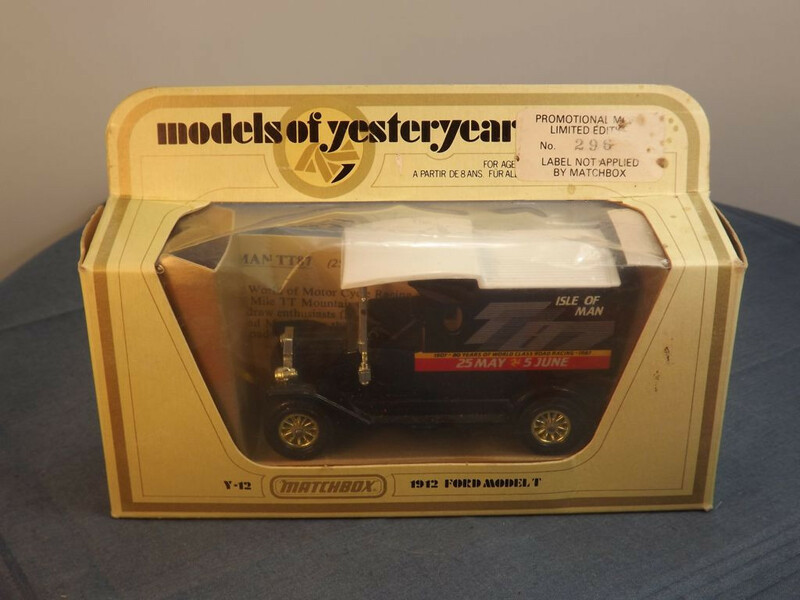 This Code 3 Promotional model was issued in 1987 as a limited edition of an unknown quantity. 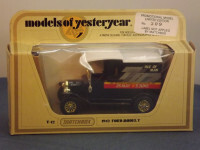 The model is accompanied by a certificate indicating it is model # 309 and the box has a white label reading "Promotional Model, Limited Edition, No. 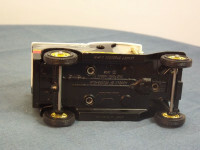 309, Label Not Applied, By Matchbox". 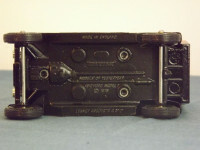 It has a stated scale of 1:35.